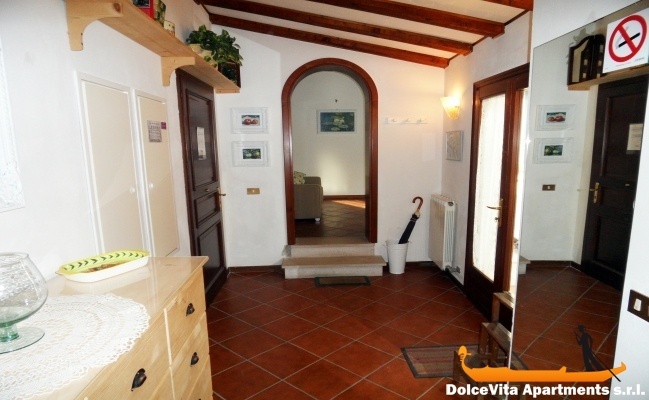 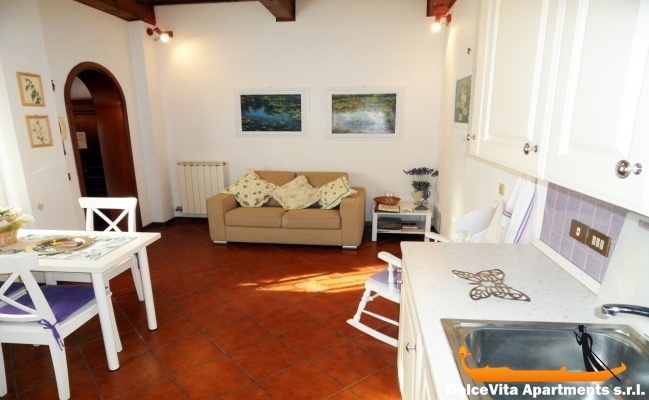 Apartment N. 6: It can accommodate up to 2 people, it is rented from 115 € per Night (not per person). 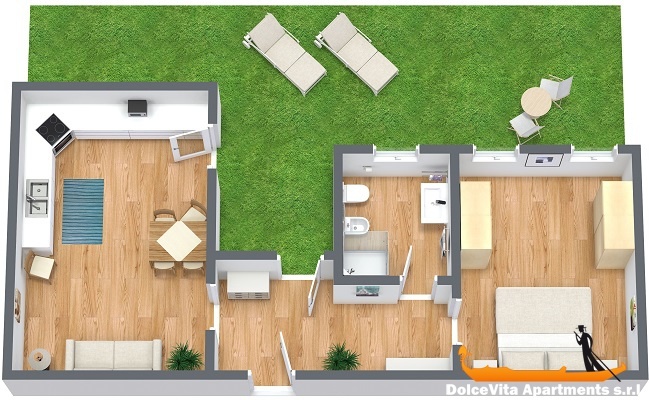 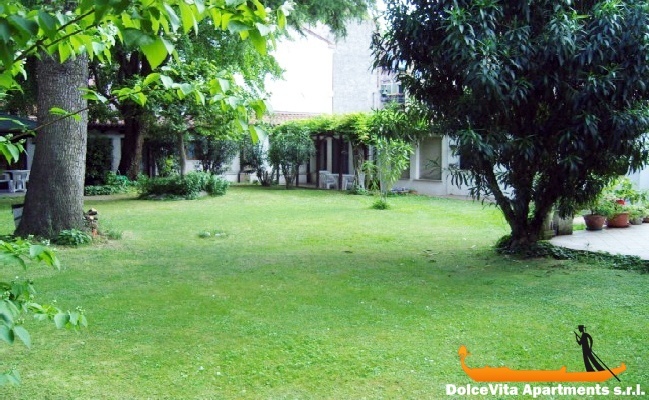 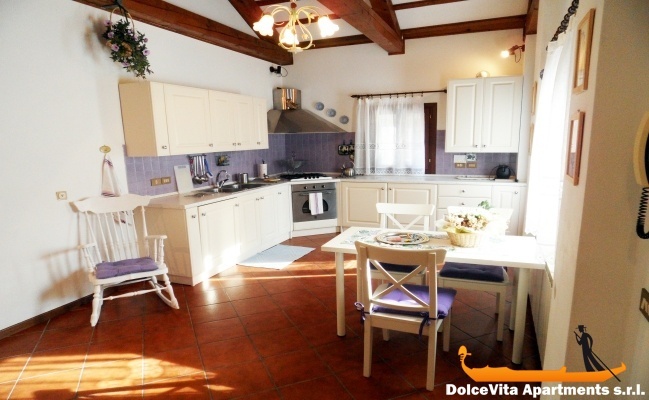 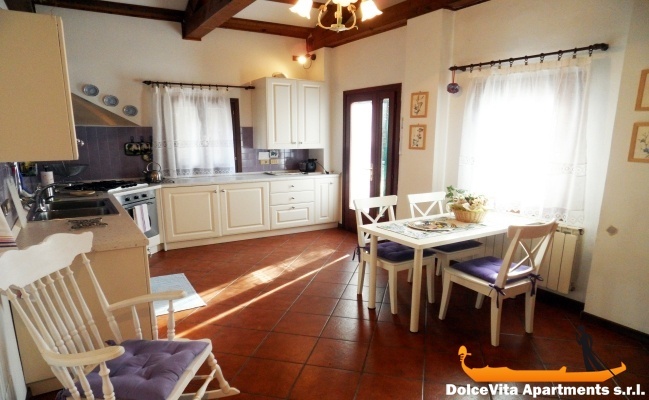 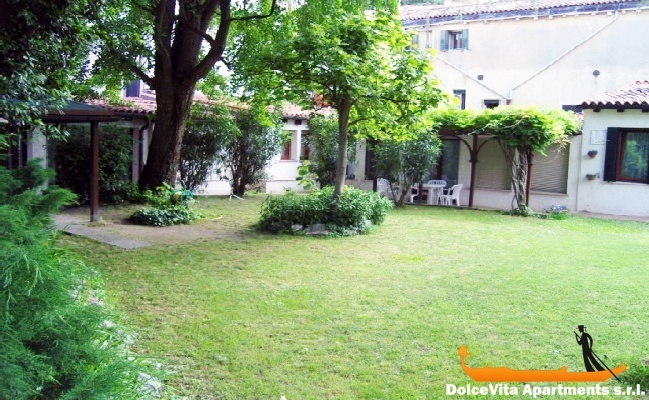 The apartment has a beautiful kitchen and dining room overlooking a lush garden. The bedroom, bathroom and patio complete the profile. 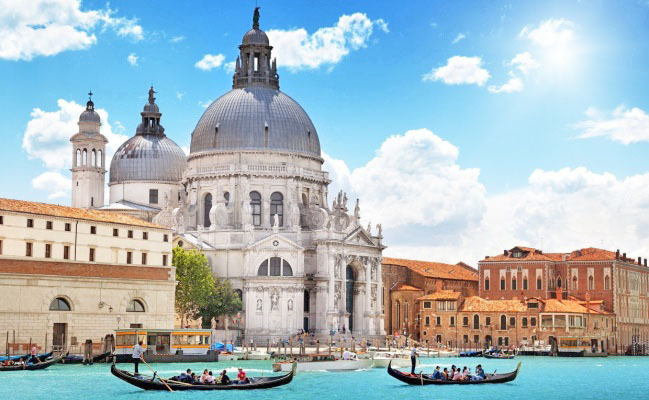 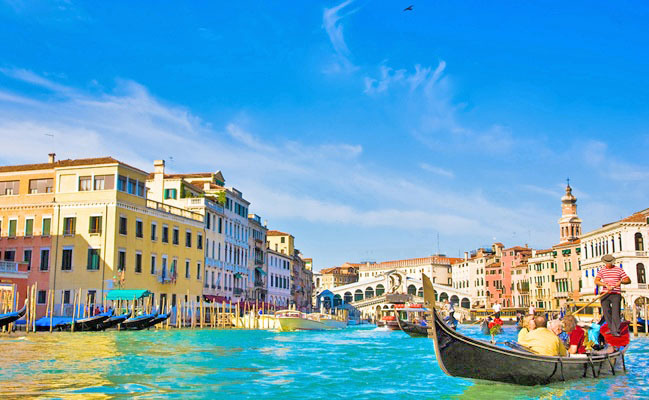 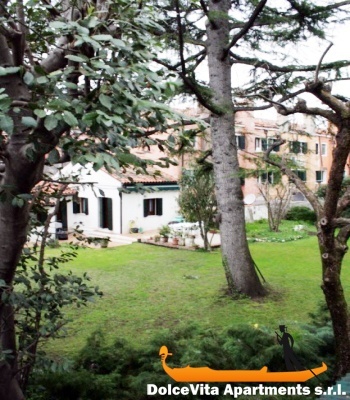 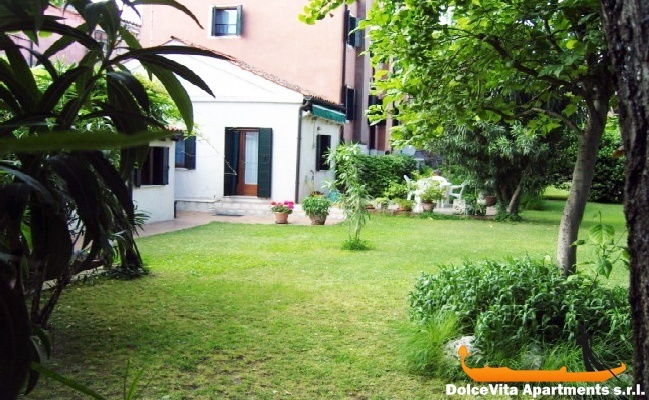 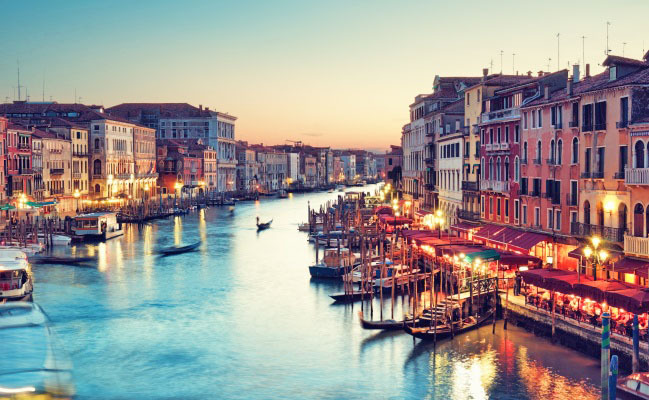 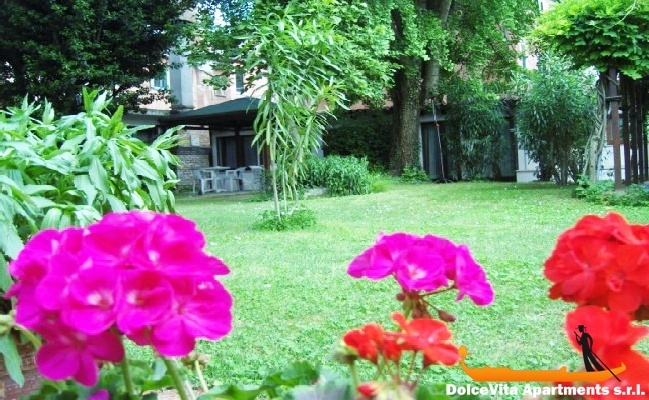 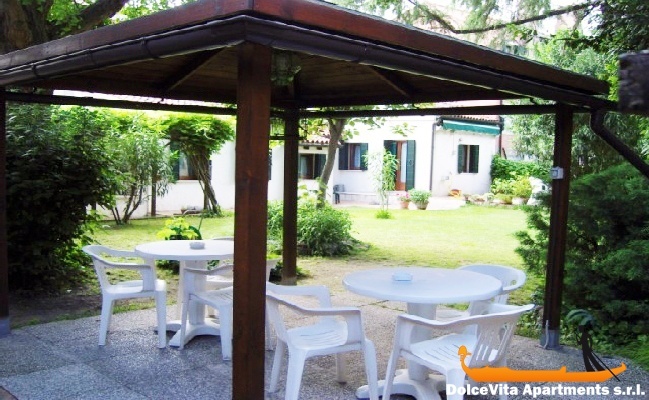 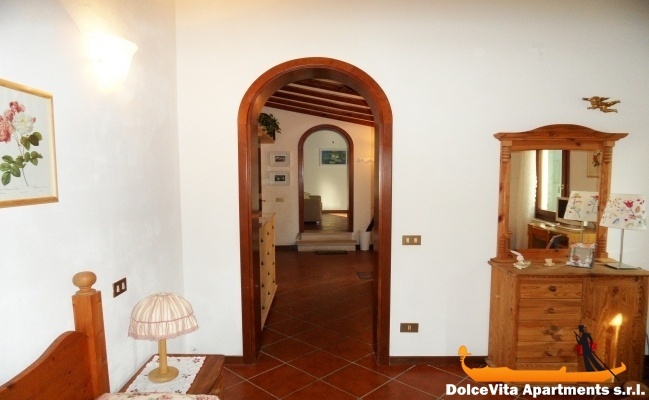 You will be immersed in the quiet garden and at the same time you will few steps from the Biennale, 100 Meters from the waterbus stop “Gardens of the Biennale”, be a 10 minute walk from St. Mark square and about 1 km of beaches. 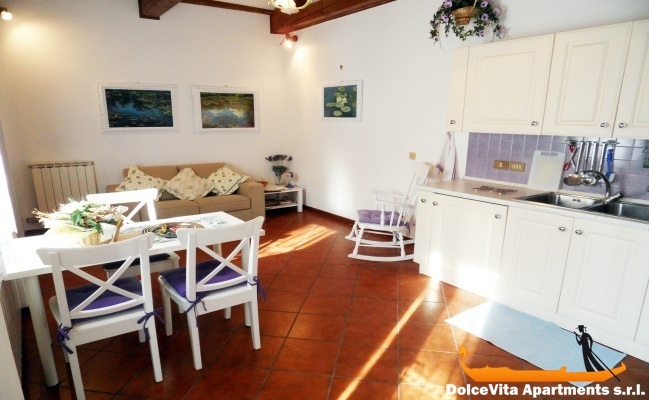 This apartment is ideal for a romantic getaway or a group holiday, in fact, you can even rent the apartment next door for a total of 10 people.